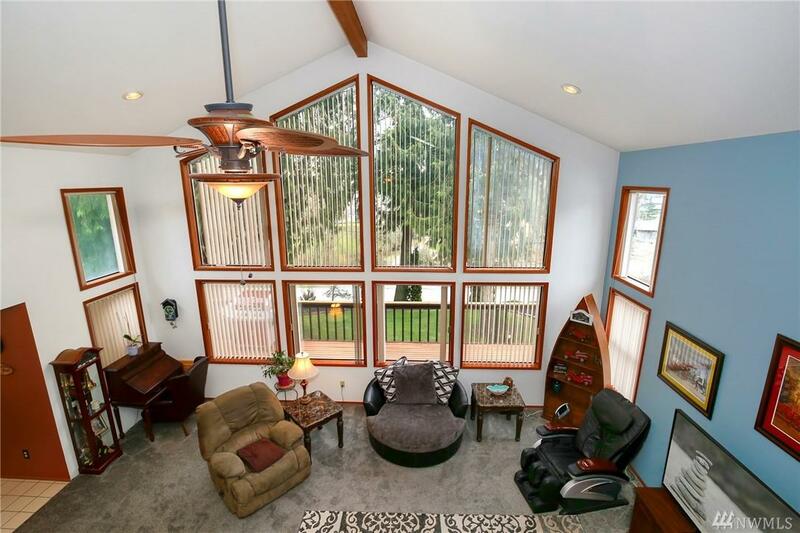 Open layout w/dramatic vaulted ceilings. 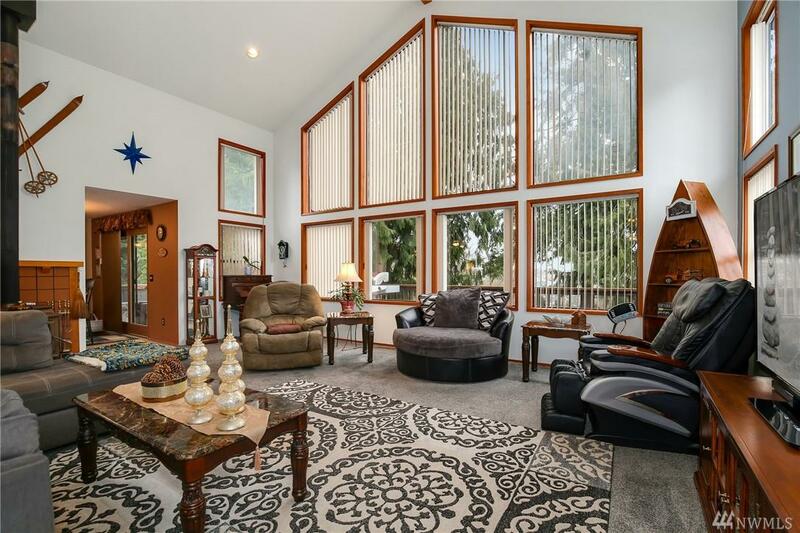 Spacious living rm w/newer carpet, wood stove, & natural light. Master loft suite w/en suite bath, & walk-in closet. 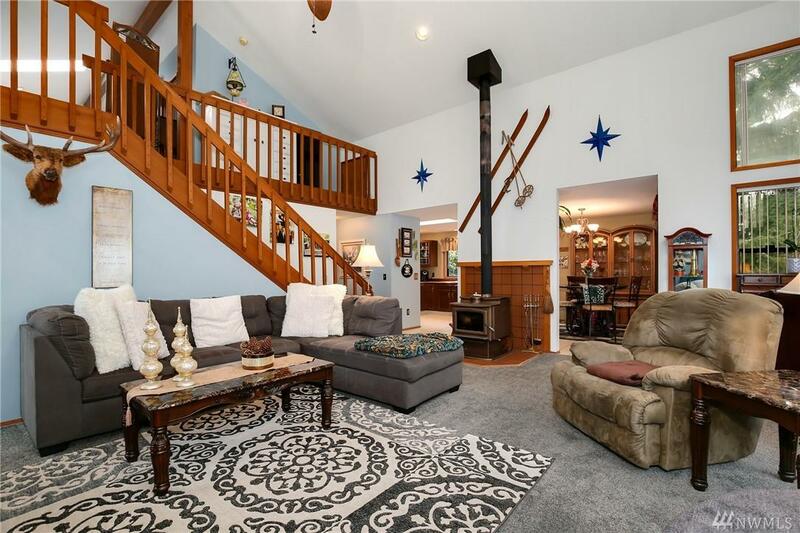 Family rm downstairs, perfect for entertaining. Host summer gatherings on lg deck & patio. Relax under stars in hot tub. Gardeners dream: fully-landscaped yd, fruit trees, flowers, & more. Addl unfinished rm in garage for storage. $5,000 Roof credit! 2 more bdrms, bath, laundry, & 2-car garage. 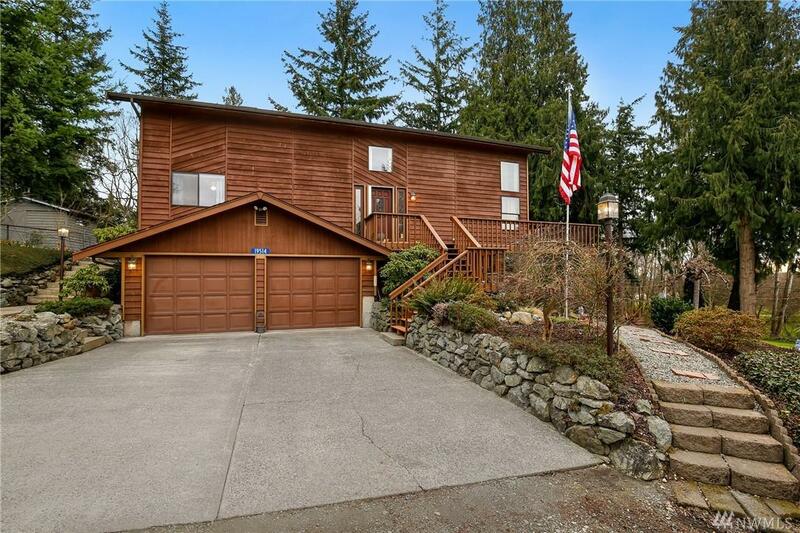 Minutes to I-5 & downtown.